Do Not Pet. Raven just alerted to a high, and Quin is testing his blood sugar. Not all overheard conversations were as positive as those interactions were. Still to this day I am amazed at how either brazen or ignorant people can be sometimes. Multiple times yesterday, as we were waiting in a line, myself or the kids would be interacting with Raven and scratching her ears or petting her head. 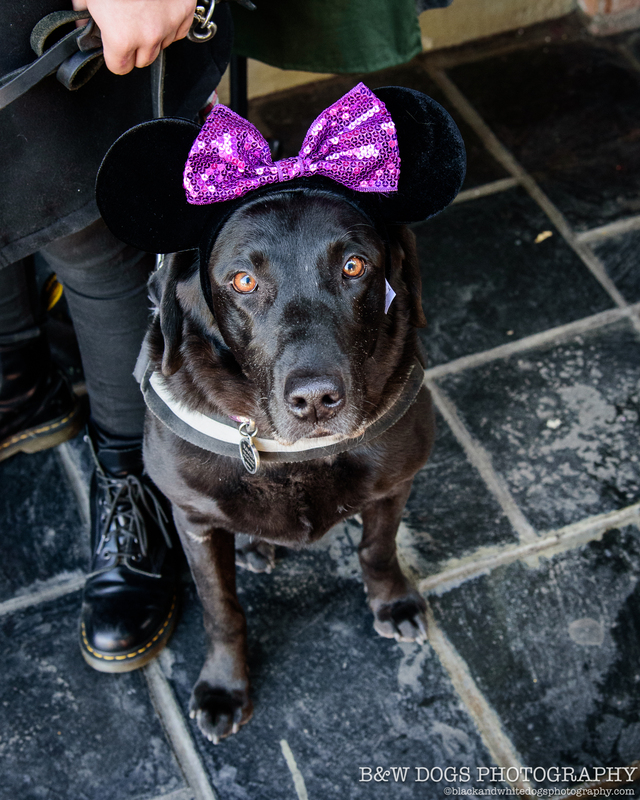 She is a VERY good dog, and works extremely well in the chaos, noise, crowds, and excitement that is a day at Disneyland. 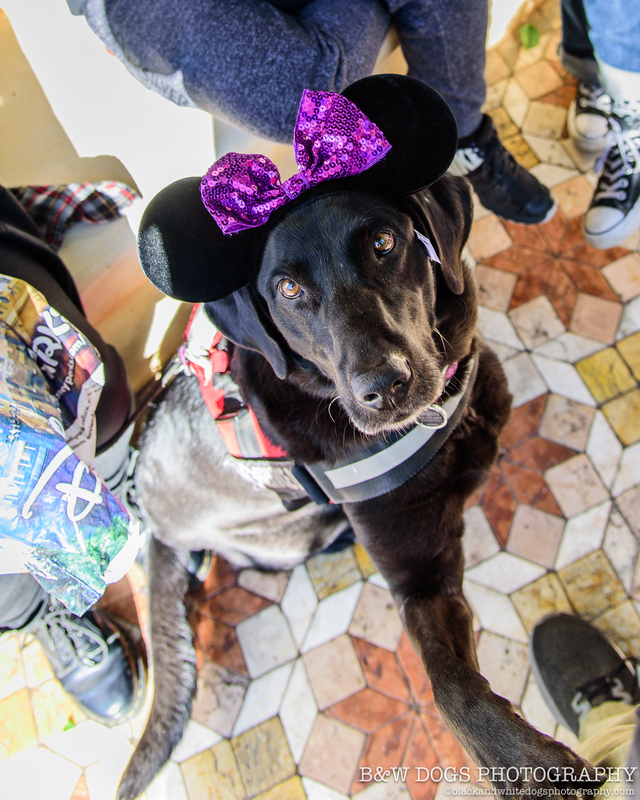 While her main “job” is to alert to out of range blood sugars, she is also expected to heel, focus on her handler, sit or down when we stop, use the facilities at the appropriate place when allowed, sit and be patient in long lines and tight crowds, and not eat stray popcorn, french fries or churros as we pass them by. All of those things are also part of her job, and we always reward a job well done. Plus she is an adorably fuzzy member of our family. So we love on her, we tell her she is a good girl, and we give her affection and treats throughout the day. Then there was the woman that was complaining to a friend just behind us about what a cruel and inhumane life it is for a service dog. Talking about how abusive it is to haul a dog around all day like we do. 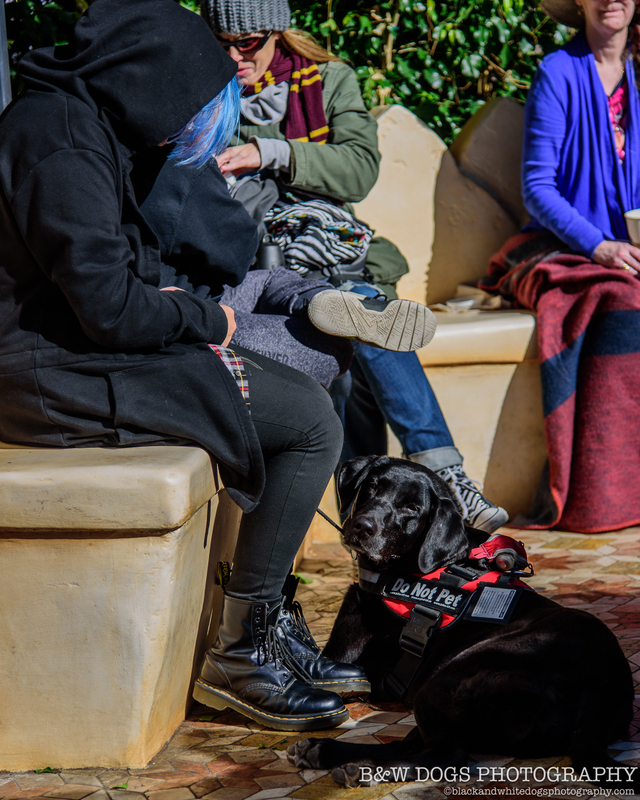 Now, I will admit, I have seen MANY so called service dogs that make it VERY apparent they would rather be anywhere other than with their handler at that moment. 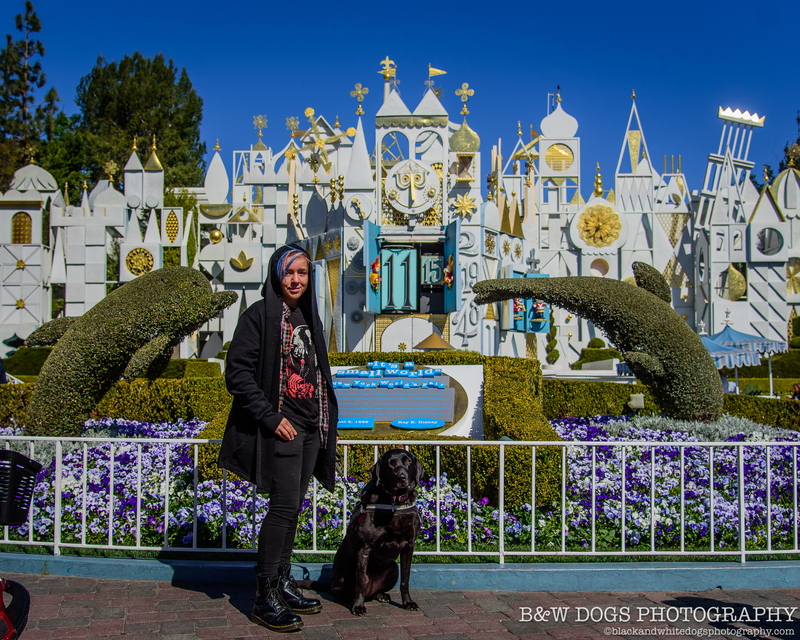 These are generally “fake” service dogs (more about another encounter with one in a minute). Dogs that are scared of crowds, cowered down, being drug on taught leashes, snarling and growling, tail tucked between their legs, and their handler has absolutely no regard for the health, well being, and mental state of their pet. This is just another example of the way fake service dogs are making it tougher every day for those of us with exemplary service dogs. They are causing the public to believe we are doing harm to our animals. While I am imagining their own pet, alone in a backyard all by itself, 10 hours a day while they are at work. Those 2 different scenarios often don’t equate in their minds. “Be Nice”. At one point yesterday, we were walking through a gift shop. A woman wearing a backpack on her front had a small chihuahua in it. I know that because when it saw Raven, it growled and barked and tried to jump out, at which point the woman shoved it back in the bag, admonished it, and high tailed it away. Raven didn’t make a peep, nor did she leave her sit stay by Quin’s side, fully focused on her handler. By this point, I had “Been Nice” for a very long time. I leaned over to my wife and said “Honey, please tell me it’s okay to grab Raven and follow that woman around nonchalantly until security asks her to leave with her dog”. At which point my wife reminded me to “Be Nice”. No sooner did that happen, I took Raven from Quin as he was looking at some things in the store. I turned a corner, and there was a family, 4 people, 1 of them in a wheel chair, making a huge fuss. They were trying to prevent their small dog from seeing Raven, and had formed a tight circle with the dog wrapped inside someone’s jacket. I struggle sometimes to understand several things. First, how do they get these dogs through security. Is it solely based on the lie that they are telling them it is a service dog? Secondly, why don’t they care more about their animal? 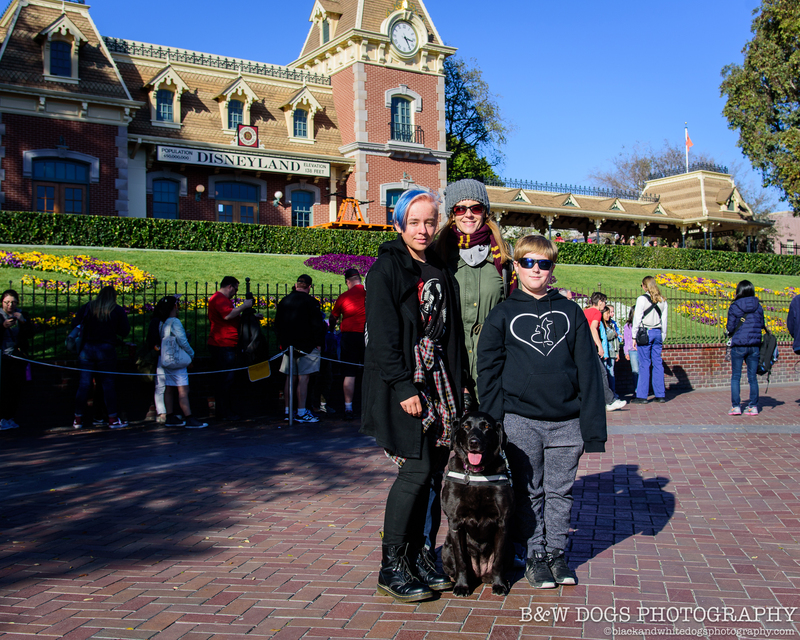 I LOVE my dogs, and one of the main reasons Raven was with us and not Major is purely because Major doesn’t deal well with the crowds and chaotic environment of a place like Disney. While it is true we have 2 dogs, when Raven was sick last year, we went to places like this with no dogs. There are certain environments that I refuse to subject my dogs to, because I know and understand my dogs and their limits. And third, these people are doing nothing more than creating a tougher situation for those of us with real working dogs. I can see a day when eventually, service dogs will no longer be allowed in places like this for security and insurance reasons, as someone WILL get hurt, or some kind of testing/registration/licensing will HAVE to be implemented to weed out the fakes. Enough of my rant. Thanks for listening. Well said, Frank. Thank you. And what a joy to see Raven’s pretty face working again!!! I have followed you for several years and know how much you and your family love all of your “Black dogs”!! I have learned so much about t1 and service dogs and understand the difference btwn people wanting to bring their “pets”!everywhere they go versus what a real service dog does. Thank you for sharing, teaching, and advocating!!! You and your family are amazing!!! Loved your rant, thank you. Have never read a more realistic description of being in a crowded situation. Been there, done that. Have heard the same comments time and again. 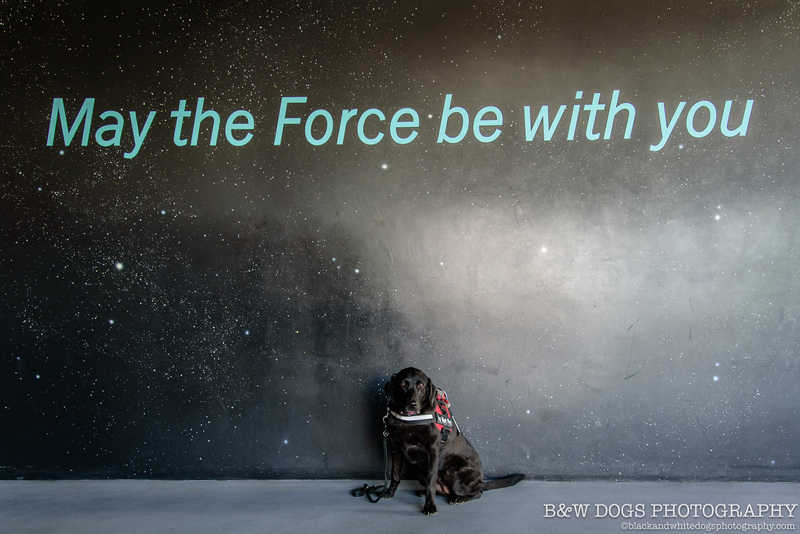 When my wife started using a SD ( Booone – Labradorus extrodinaryious blackus rulus ) three years ago I was pleasantly surprised by the number of children that would tell their parents “That’s a service dog, it’s working, you can’t bother them, you have to leave them alone” Between that and the very polite people who may try to interact out of curiosity, or just complement the dog, I also have to tell myself that there are alot of people you don’t notice unless you think about it that pay no attention to the dog or disabled owner because they know that is the proper thing to do(being nice) They are far more of them than the occasional under their breath moron. I still cannot help but tear up when I tell the story of being at an outdoor music festival and being stopped by mud ( it had downpoured earlier) trying to get to a higher dryer spot. Within seconds my wife was surrounded by a group of young men who offered and then carried her in her wheelchair over and through about 30 yards of ankle deep mud. There are many good people on the world, you have to believe they far out number the bad, the bad just stand out more.